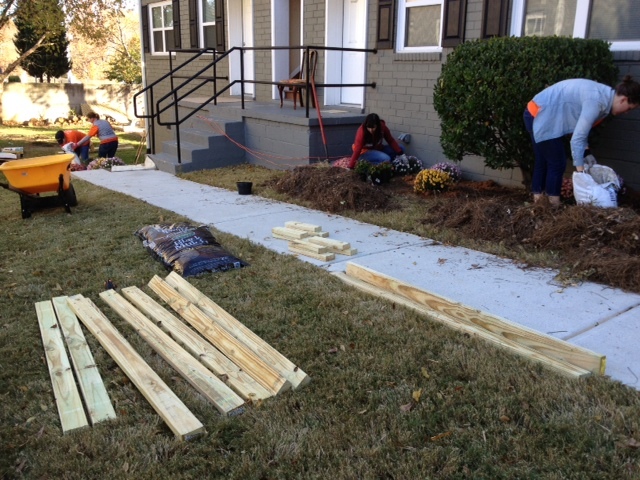 We also gathered some wood (that was already cut and measured for us) along with some power tools and built three benches. 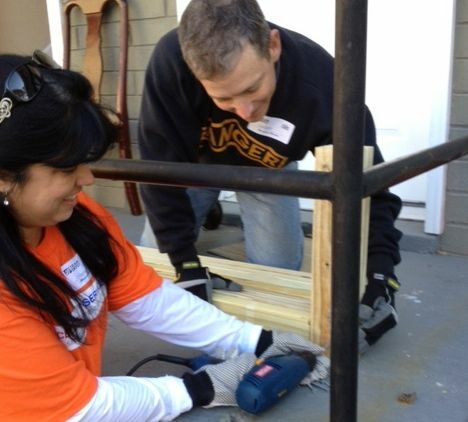 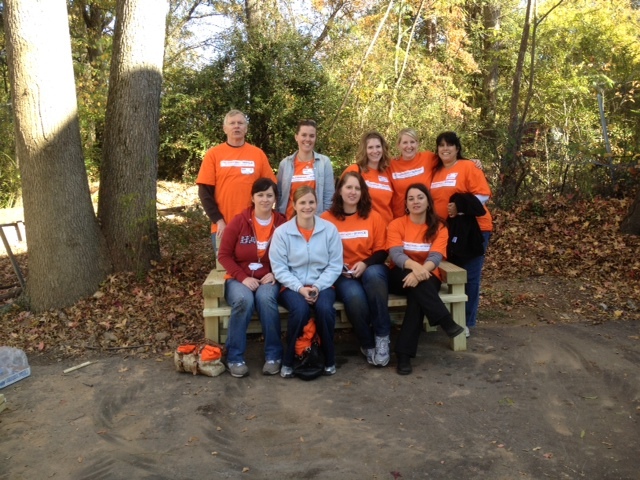 We had the help of some awesome Home Depot folks of course, otherwise we would still be there building. 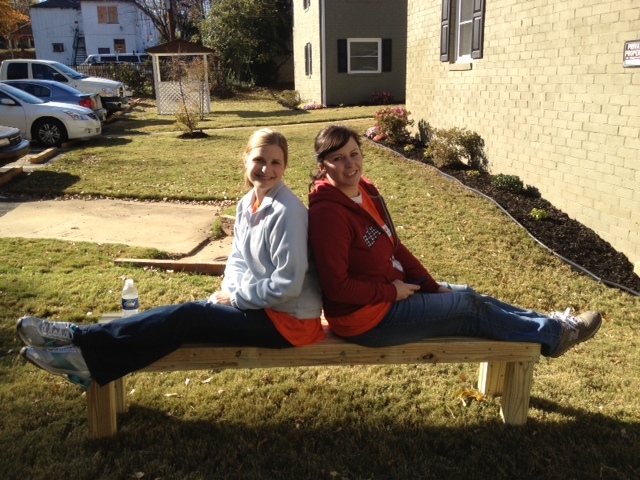 Here are two of my DIY partners, Cheryl from Wife of a Wounded Soldier and Karie from Being the Wife (Widow) of a Wounded Marine on one of our finished benches!